Researchers are taking a step back to answer the question whether long-term studies are helping save plants, animals and the places they call home. The global answer is yes. FIU researchers are gathering data in the Florida Everglades that provide critical information needed for restoration and conservation. They’ve been doing this for more than a decade. The Everglades is made up of different ecosystems, including swamps, hardwood hammocks, mangrove forests, pine rocklands and sawgrass marshes. Their interconnectivity makes them especially susceptible to changes in the environment. FIU’s long-term approach to studying the Everglades allows scientists to understand how it works, and it allows them to predict how it will respond to changes in the future. For more than 16 years, scientists in FIU’s Florida Coastal Everglades Long Term Ecological Research (FCE LTER) Program have been studying how water, climate and people affect the Everglades. Their efforts have resulted in more than 500 peer-reviewed journal articles to date. In a new paper, FIU researchers outline the value of international long-term research, how it has played into what is known about the Everglades and other wetlands, and how it can help solve current and future ecological problems. It is part of a four-paper special feature on international long term ecological research published in Ecosphere. Evelyn Gaiser (center) conducts research on how water, climate and people impact the Everglades as part of the Florida Coastal Everglades Long Term Ecological Research Program. Other papers in the issue explore new technologies for studying plant life cycle events, how long-term, comparative research has provided a global perspective on the iconic features of the Everglades, and how grassroots, international partnerships among ILTER Network information managers have resulted in the use of common information management tools and increased data sharing. The FCE LTER Program is part of the National Science Foundation’s Long Term Ecological Research (LTER) Network. Since 1980, the LTER Network has been documenting and analyzing long-term changes in different types of environments at 25 research sites throughout the world. The LTER Network in the United States one of 43 member networks in the International Long Term Ecological Research (ILTER) Network, which was founded in 1993. The ILTER Network collects data that are available for use by students, scientists and policymakers. It also offers partners the chance to come together at open meetings to share findings and challenges, network, and coordinate efforts across research sites. Beyond providing the means to conduct scientific studies, the international network allows scientists to expand their research beyond national borders and exposes them to the ways different cultures see and understand the world. FIU researchers have capitalized on ILTER Network connections. 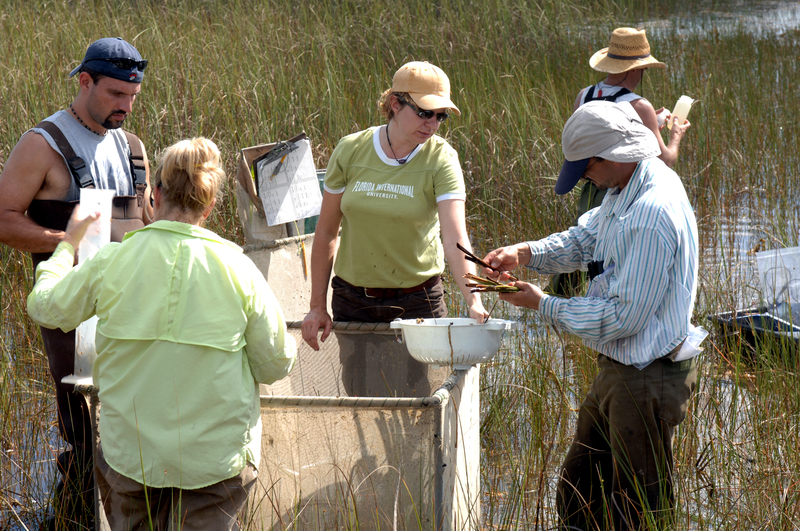 “The International Long Term Ecological Research Network offers scientists the opportunity to work together across regions and disciplines to improve understanding of global ecosystems as well as develop solutions for current and future environmental problems,” said Evelyn Gaiser, executive director of the School of Environment, Arts and Society and lead principal investigator of the Florida Coastal Everglades Long Term Ecological Research Program. Much of what is known about the Florida Everglades, how it works and what makes it unique is owed to the long-term research being done there and in other parts of the world. By taking what is known about the Everglades and comparing it to long-term studies in other wetlands, scientists and policymakers have a better picture of what needs to be done to protect some of the most vulnerable ecosystems.